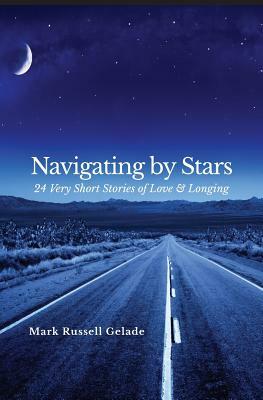 “Navigating by Stars” by Mark Russell Gelade features a set of 24 short stories. Each 500-word-or-less snippet gives the reader a view into the mind of a different character, searching for fulfillment and trying to navigate their way through life’s unexpected joys and challenges. Gelade writes emotional, compelling, and poetic prose, calling to mind his background as a poet. The stories and their characters seem unrelated to one another at first, but eventually the pieces of the puzzle fall into place as each character makes an appearance in another story. “Navigating by Stars” is beautifully written, and teaches the reader a lesson on the power of compassion and how each person can play a role in someone else’s life. Gelade evokes empathy for every character, despite their faults and mistakes. In one story, the reader may feel antagonistic towards one character for the role they play in the narrator’s life. In another story, Gelade writes from the perspective of that character, humanizing them and helping the reader understand their story, background, and motivations. In “Before I Go,” the narrator is a man on an airplane flying to see his dying mother in her final hours. “She and I were never close,” he writes. “She always preferred her musical protégés over her own son, who couldn’t string two notes of music together even if my life depended on it.” In “Night Vigil,” the narrator is a pupil of the previous narrator’s mother, Mrs. Riesman. To this student, Mrs. Riesman was his greatest mentor. The narrator reminices that “She always saw the best in me. She somehow knew how to support my own dimly formed ideas about who or what I might become when I grew up.” The writing style emphasizes how there is never just a single perspective on any situation, at times putting a character in a completely different light once Gelade depicts their side of the story. At times, Gelade’s use of language can be difficult to understand, and too flowery and abstract for those not well versed in poetry and prose writing. Due to the “short short” nature of the short stories, the lengths can also make some narratives feel incomplete, making the anthology disjointed. However, the brevity of some stories actually adds to the beauty of this collection: Each story and its characters are ephemeral, reflecting the transient nature of how things come and go in and out of lives. “Navigating by Stars” is a calming and comforting read that is a reminder that no one is completely alone. Gelade does a stunning job of showing how everyone gets lost at some point, and how part of life is trying to navigate your way back home. A previous version of this article misspelled the title of one of the short stories included in Mark Russell Gelade's "Navigating by Stars." It is titled "Night Vigil," not "Night Virgil." Zambra's "My Documents" shows his deftness as a miniaturist. He knows when to employ simplicity and when to highlight certain details, and he understands how to grant individual stories their own flavor while maintaining their connectivity. Orange’s debut novel breaks from the concept of the standard American story.